Current status  Privately owned. Property can be rented for special occasions. The house was under construction in 1850 3.5 miles away from where it stands now. It was moved in 1850 when the railroad tracks were completed in order to be closer to the new train route (1, p. 5). 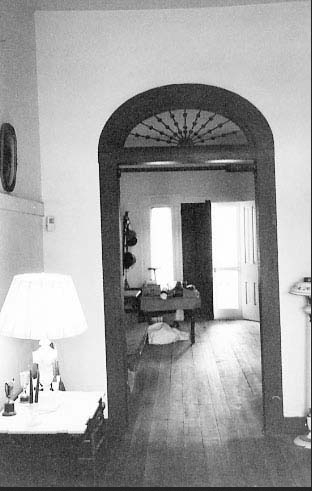 1894  Catherine Jeter died leaving the plantation to her son Dr. James Thomas Jeter, Jr (1, p. 13).
?  Dr. Jeter's sister, Mary Elizabeth "Bessie" Jeter and her husband, James "Jimmie" Parhan Jeter, lived in nearby Santuc. 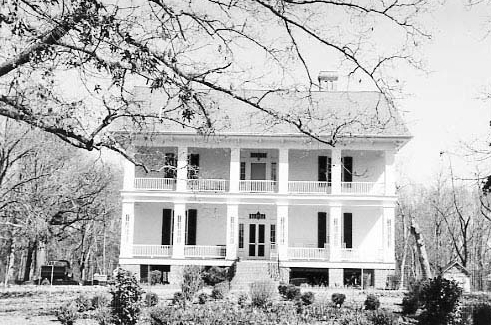 Wanting to be closer to his patients, Dr. Jeter traded Woodland Plantation with his sister and brother-in-law for their house. This transfer was recorded on one of Dr. Jeter s prescription pads (1, p. 13). 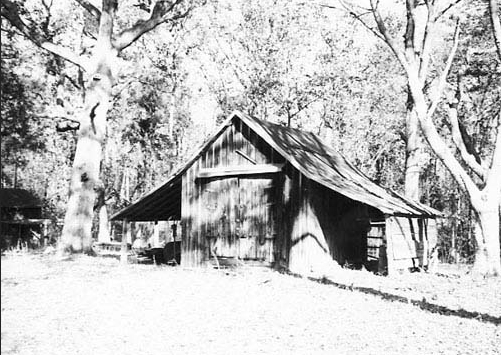 1920s  James and Mary Elizabeth's sons, Hugh, John Mobley and James T. Jeter, inherited Woodland from their parents and operated a dairy farm on the property until 1957 (1, p. 13). 1957  A fourth brother, Douglas Jeter, retired to Woodland in the same year the dairy farm was closed (1, p. 13).
?  James Jeter Easley, great-grandnephew of Rev. James T. Jeter, acquired the property (1, p. 13). 1996  Drs. 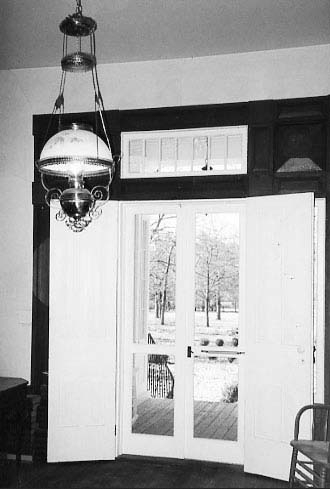 Allen P. and Elaine K. Jeter purchased Woodland from Easley and began to restore the house. Dr. Allen Jeter's great-grandfather was a nephew of Rev. Jeter (1, pp. 8, 14). Information contributed by John Joseph Howell.